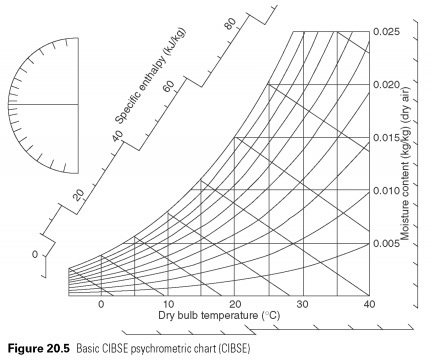 In this diagram, the wet bulb temperature are displayed as diagonal lines, which coincides with the dry bulb on the saturation line. 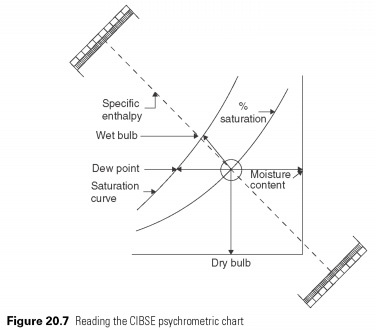 If measurements are made with two thermometers sling psychrometer, conditions may be drawn on the psychrometric diagram, taking the intersection of the dry bulb temperature, as read vertically, with the wet bulb temperature, and read down diagonally across wet lines. Specific enthalpy increase from dry bulb (sensible heat air) and humidity (sensible and latent heat, water). 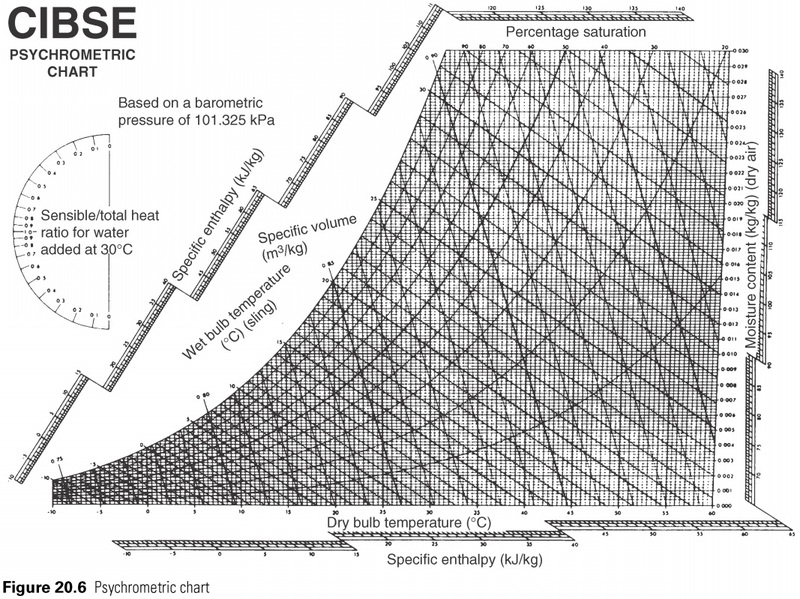 Adiabatic (iso-enthalpic) lines for air-water vapor mixture almost in parallel with the wet line, so to avoid any confusion, enthalpy scale is outside the body chart, and readings should be taken using a straight-edge (see Fig. 20.7).